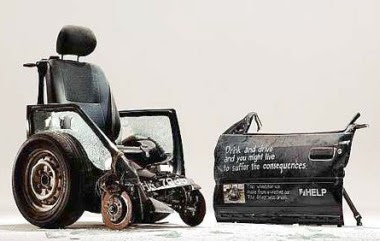 "Wheelchair", the Anti Drink and Drive campaign developed by BBDO/Proximity for Help College won the Golden Kancil and a host of other awards in last night’s Kancil Awards. I am no creative guru but in all honesty, I really think and believe that this is a campaign that deserves all the awards it got. Great creative thinking with a noble message.